London : Two stolen lambs have been reunited with their mother in New Zealand, thanks to the power of Facebook. Through this case Facebook has beet pivotal in reuniting with their family yet again. According the report published in stuff.co.nz, Anna Smith and her husband from Christchurch saw two little black lambs listed on "Trade Me" last week and decided to add them to their family. But on Christmas Day, Smith received a text message from the woman selling the lambs telling her they had been stolen. According the report, A property owner from Christchurch's Port Hills contacted Stuff on Christmas Day after discovering two rare Gotland Pelt lambs had been stolen from her farm a day before they were meant to be taken to their new home. But after an online manhunt and the honesty of strangers, the two bouncing Christmas presents are now happily roaming their new paddock. "My husband was really buying them for me and my daughter [two-year-old Eliza] for Christmas because we're both huge animal lovers," Smith said. But on Christmas Day Smith received a text message from the woman selling the lambs telling her they had been stolen. "I was really gutted," she said. "I felt a bit sick to be honest and kept thinking about their poor mother wondering where her lambs were." 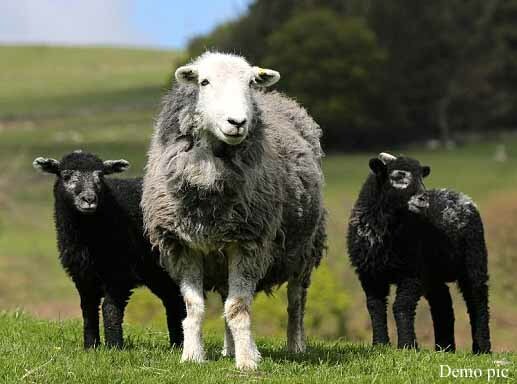 Smith said she spent most of Christmas Day on Facebook posting photos of the lambs, listing them as stolen on different sites and urging people to share her post far and wide. Social media worked its cyber magic and the story of the stolen lambs had a happy ending.